It’s not often you hear of any company, let alone an insurance giant, tapping into the razzle and dazzle of movie making to get employees behind a new business initiative. 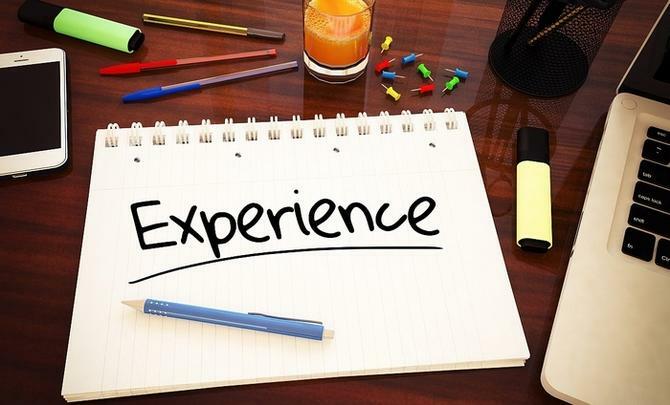 But that’s exactly what IAG is doing as part of a program of work to raise awareness of customer experience painpoints and how to solve them internally. Speaking at the IBM Amplify event in Tampa, Florida, IAG’s marketing technologist, Grant Pattison, shared how the company has deployed IBM’s TeaLeaf digital experience analytics to better understand the customer journey and diagnose issues customers have when interacting with IAG’s owned digital properties, then find ways to improve these experiences. Pattison said the technology is part of IAG’s wider efforts to seek commercial and revenue opportunities with a customer experience lens. He pointed out CX is a proven business improver, and noted IAG’s Net Promoter Score for its websites and Web experience as key market differentators. “What we’re looking for is micro-improvement opportunities to get customers through the funnel a little faster,” Pattison told attendees. TeaLeaf is being deployed as the research component of IAG’s digital CX efforts, and sits as an add-on to its wider marketing technology stack. This is grouped around four pillars: A data platform, feeding all customer insights; marketing automation, which houses all customer journeys; an orchestration platform including all workflows; and a consumer decisioning engine that takes all insights and works through the experiences needed for customers. IAG is reportedly the first non-US company to deploy the SaaS version of the TeaLeaf platform, which was acquired by IBM in 2012. Pattison said it’s employed in several ways: To notify IT of issues on its websites and help prioritise workloads; for CX, such as assisting with buying journeys and determining how many customers have been affected by a particular event, and cross-channel interactions; and for business reporting, including funnel reports. To do this, IAG devises a ‘struggle score’ for customers when they’re engaging with digital properties. These events could be poor call back responses, a Google search error, or session timeouts. Each is scored in terms of significance, providing a filtering mechanism. Pattison said IAG takes all observed, declared and inferred data from TeaLeaf, and pushes it into channels of insight the company uses for customer segmentation, as well as personalisation. But as most marketers will know, getting insights is one thing, getting staff to act on them is another. To drive engagement around solving these painpoints, Pattison said IAG has created movie nights run by its CGU Insurance brand where his team can showcase the most significant issues and discover resolutions. These biweekly, reinvented business governance forums are attended by executives and teams able to take action based on what challenges have been identified. Each movie night, four or five of the issues with the higher customer struggle scores are presented through short films for review, with teasers sent out in advance of each meeting. The films are put together by a screenplay writer and stories are chosen by IAG’s dedicated TeaLeaf analyst. Previous actions are also reviewed, and once films are screened, the team works on how to solve issues. Pattison said the sessions are also a reflection of IAG’s agile improvement practices. IAG has gleaned a range of insights to date, including where customers click and hover over its pages, what part of pages users spend the most time on, and can segment customers based on behavioural analysis across its home, motor and travel insurance offerings, seeing different sessions based on product and customer types. It can also see which form fields where people drop off, identify the relative popularity of links on page, and recommend improvements to make pages more accessible to customers. Already, CGU Insurance has held its first annual CX Struggle score Academy Awards, nominating key digital customer experience painpoints identified in the first year. An example was the Best Supporting Role, which went to ‘Dazed and Confused’, a situation where users were unable to click on a call to action. Best Screenplay, meanwhile, went to ‘screen validation’, where customers opt in and out of information. Nadia Cameron attended IBM Amplify as a guest of IBM.